Transformer is a Washington, DC-based 501 (c) 3 non-profit, artist-centered organization that connects and promotes emerging artists locally, nationally, and internationally. Transformer’s mission is to provide a consistent, supportive, and professional platform for emerging artists to explore and present experimental artistic concepts, build audiences for their work and advance their careers, while increasing dialogue, understanding, and audiences for new & best contemporary visual arts practices. As an artist-centered organization, Transformer is committed to providing all participating artists and curators W.A.G.E certified rates for honorariums, budget for material costs as well as travel/accommodation support as needed/feasible. (up to $5,000 budgeted per exhibition). With a unique store-front exhibition space at 1404 P Street, NW, Transformer’s Exhibition Series, consisting of six to seven exhibitions per season, encourages artists to be site-responsive, often producing a deeper and more thoughtful exploration of ideas and solutions to the presentation of their work. Exhibitions run five to six weeks and are organized by Transformer staff in conjunction with participating artists, guest curators, and advisors. 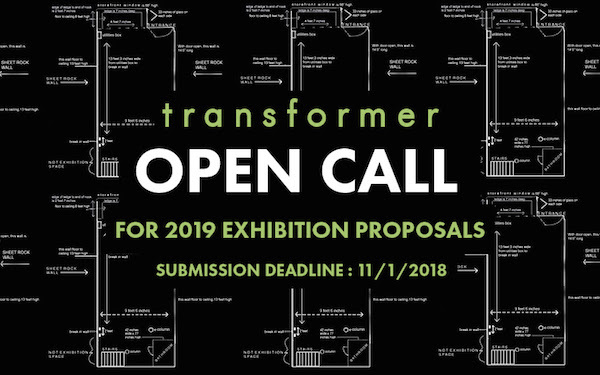 Applicants are encouraged to familiarize themselves with Transformer’s past exhibitions and programs, and to think about how their proposal relates to our mission and space. Images/descriptions of all previous exhibitions, programs, and projects can be found on our website under Past Exhibitions or Programs. We encourage artistic experimentation, as well as cross-disciplinary explorations. Artists are never charged fees for participating in Transformer’s exhibition series nor to have their work considered. We are not a commercial gallery, we do not offer artist representation, and only offer ONE solo exhibition per year – for which we do not accept applications. Artists, curators, collectives, peer arts organizations, writers, and creative individuals at a self-defined emerging level, regardless of background or location can apply (we encourage applications from artists/collectives both inside and outside the DMV area). Ambitious in scope but realistic in their ability to be executed in the time and budget provided. 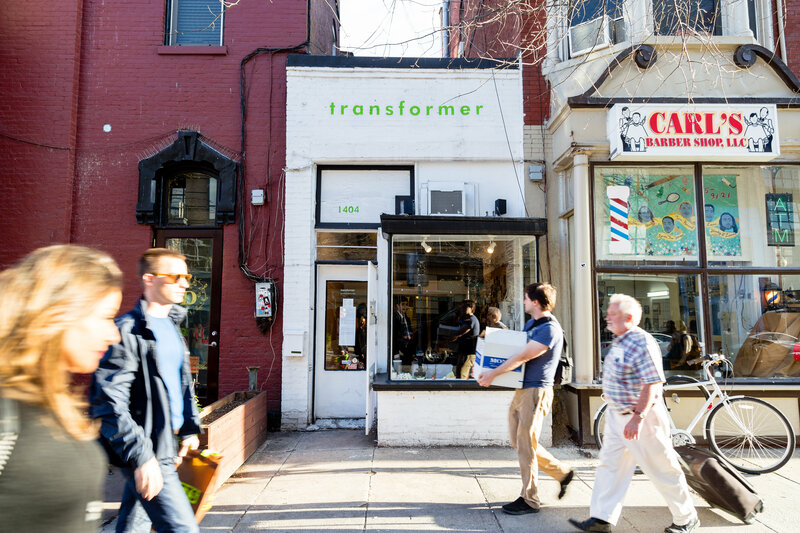 Transformer’s storefront exhibition space – 1404 P St NW Washington, DC. Floor plan and images of the space can be seenbelow. All applications for our 2019 exhibition cycle will be due by MIDNIGHT on Thursday, November 1st, 2018.